1. Preheat the oven to 220°C/R7. Make up the bread mix following the pack instructions and knead until the dough is smooth. Leave to rest for 5 minutes. 2. Roll out the dough to a 30cm x 40cm oblong, then cut in half lengthways. Scatter the mozzarella pieces, pepperoni, tomatoes and basil over both halves. Working from the longest side, tightly roll up each piece of dough. 3. Place the two rolls on a lightly greased baking tray and cover with cling film. Leave in a warm place for about 40 minutes until the dough has doubled in size. 4. Remove the cling film and cook in the centre of the oven for 30-35 minutes until the bread is well risen, golden and the base sounds hollow when tapped. Allow to cool slightly on a cooling rack before slicing and serving warm. 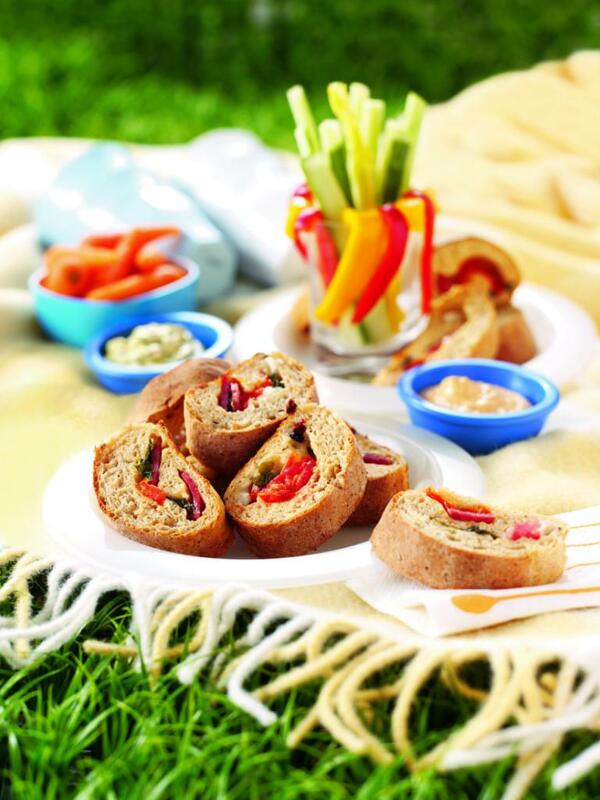 Enjoy with dips such as guacamole or houmous, plus Chantenay carrots and sticks of sweet pepper, celery and cucumber.